With the arrival of Chinese New Year, comes the mandatory tradition of visiting our family and friends. Between pocketing red packets and entertaining the same ol’ questions from your kaypoh relatives, there’s only so much festive goodies you can stuff yourself with before you get bored. Fret not – add these time-killing apps into your CNY survival kit! 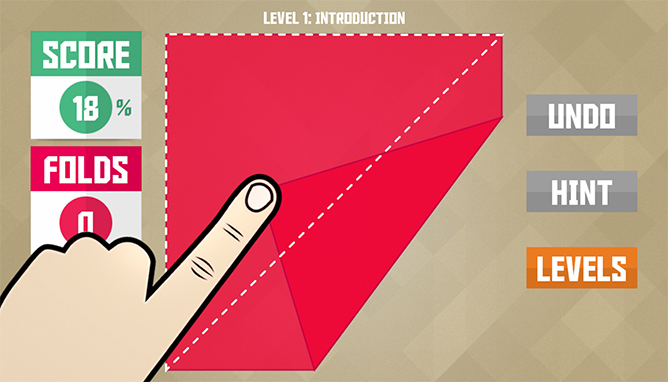 Expand your creativity with the old-school art of origami, made virtually possible with Paperama. Fold through different shapes and figures, with the 3D effect making each touch on your screen feel as close as possible to folding actual paper, and watch your very own origami world come to life. With over 70 paper creations to choose from, this beautiful app makes for the perfect new hobby to master with your fellow artsy cousins! As much as we all love popping bubble wraps, it’s impractical to lug around chunky pieces of plastic with you when you’re out house visiting. 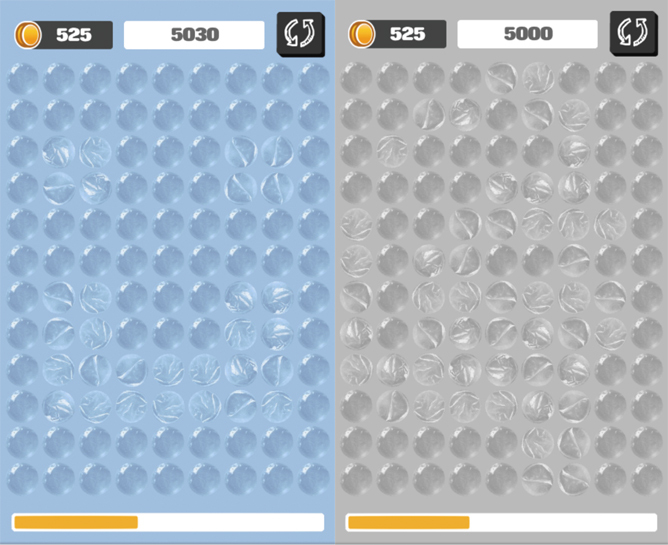 Enter the Bubble Wrap app, which gives you the virtual satisfaction of bursting those irresistible bubble sheets anytime, anywhere. While it may not feel the same as real-life plastic, the ‘pop’ sound each burst makes is just as comforting. Plus, you’re able to adjust the size and colour of the bubbles, and even make it a personal challenge with various stages to complete. Remember the pre-selfie days when snapping neoprints was the go-to way to pass time among our friends? One minute you had a blue bird above your head, the next you were on a rollercoaster! Those fun times don’t have to be long gone, because a similar app version is here. 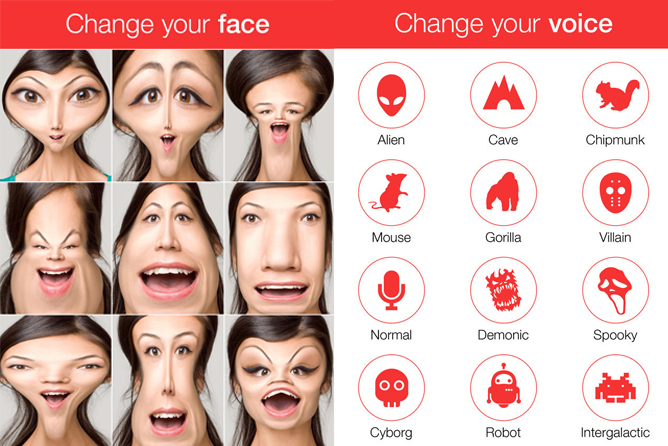 The app does not really have a long-term purpose besides its simple functions, but you’ll still have a blast playing around with the effects, face changers and voice alterations. In case anyone accuse you of being anti-social, rope the fam in for the fun – create hilarious movies with the cuzzies, lipsync to your favourite songs or even prank your relatives with it! Connecting dots seems simple enough, but a couple of attempts into Two Dots will have you realising otherwise. 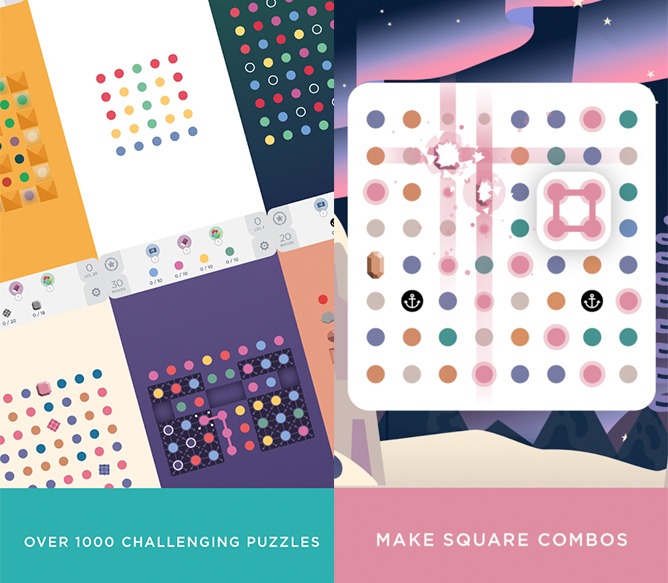 Difficulty aside, what makes this app so maddeningly addictive is its sleek interface and straightforward gameplay – you’ll challenge yourself to complete every level without being aware of how much time has passed, and it’ll be time to pack up before you even know it! 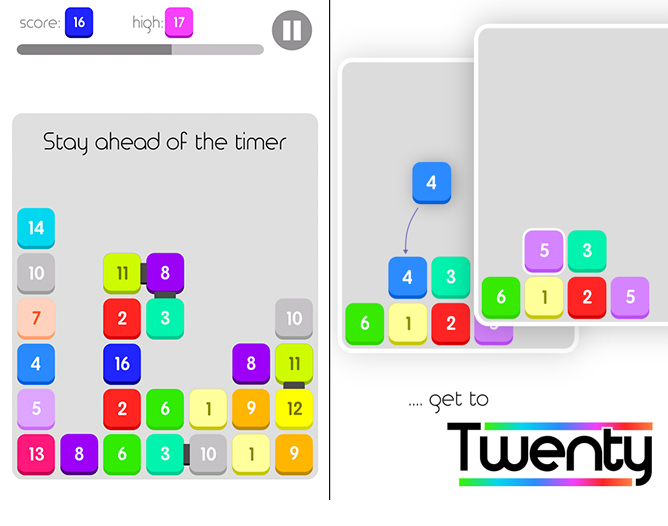 Put those years of mathematics to the test with Twenty, a modern take on the classic bricks game that your relatives can definitely relate – but this time around, it’s made more puzzling with numbers attached to each block. Stack and match tiles of the same number to combine them, but once a tile hits 10, that’s where the real challenge starts. If you’re up for competition, the TwentyTwo function also lets you challenge your cousins. Thoroughly intense, this game will have you hooked once you figure out its mechanics. If you thought studying physics in secondary school was a drag, think again. 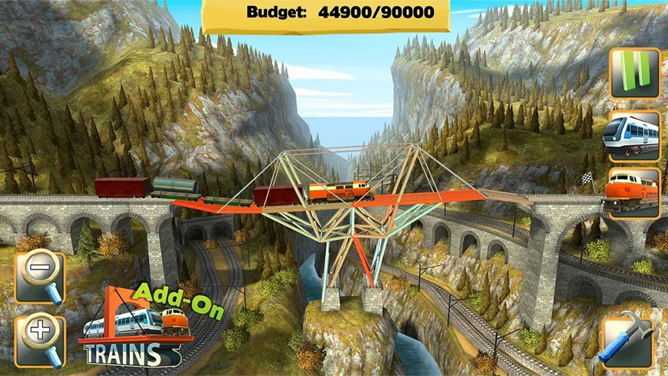 Put on your thinking cap and get ready to have hours fly by with the Bridge Constructor app. Logic and budgeting play major roles in mastering the art of bridge building – watch your commuters travel safely, or fail the level and witness them crash and burn. Get the ad-free version at $2.98 to avoid any distractions in your new virtual occupation! Don’t just keep these apps to yourself – share this list with your family and get everyone on board for the fun! It’s February, which means it’s time to bust out the fancy chocolates, lovey-dovey couple selfies and sappy love songs to celebrate the month of love. We’re suckers for romance for sure – but for the boss babes in your life who are single and totally loving it, here’s a list of kickass keepsakes to indulge their anti-Valentine’s day heart. Not today, Cupid. From a tsundere scene straight out of a shoujo manga to a wizarding world come to life, these novelty pop culture-themed cafes will fulfil all your nerdy fantasies. Don’t be fooled by the kawaii appearances of these meidos and butlers. 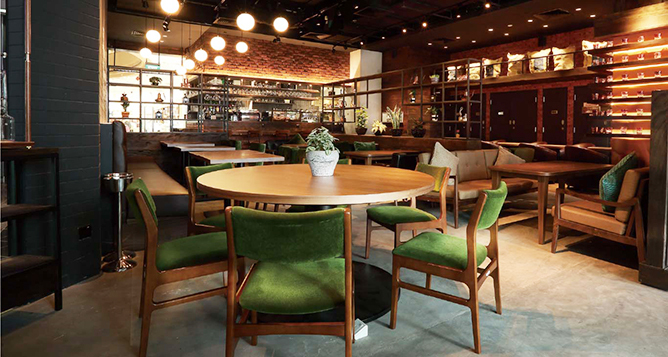 At this one-day concept cafe, expect to be hurled insults while the wait staff fling menus and slam trays on your table. A full tsundere (a character development process in which a cold person warms up to you overtime) experience will set you back $19.90 if you reserve early and $25 for reservations after 31 January, but you also have the option of special services such as massaging and forehead flicks at an additional $5. Otaku approved! 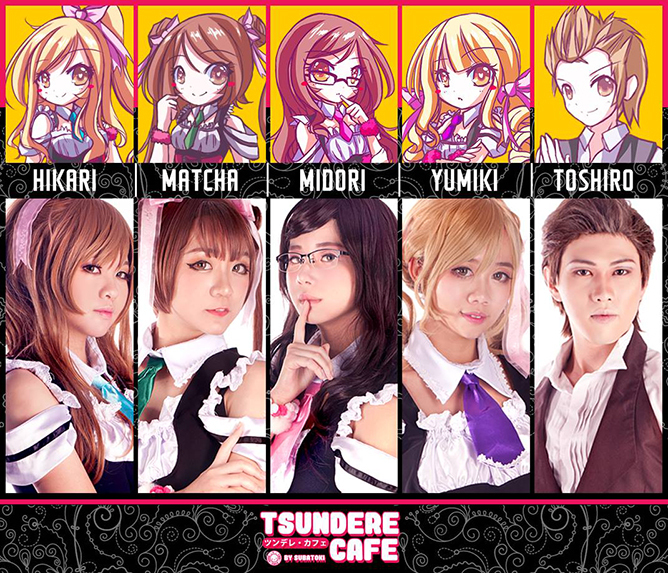 Tsundere Cafe opens on 24 February 2018. 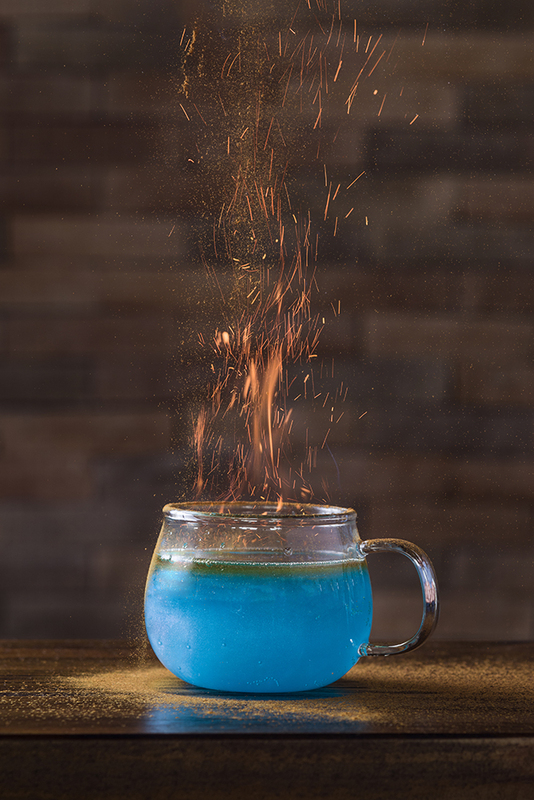 Satisfy your inner gamer at the first ever DISSIDIA FINAL FANTASY NT themed cafe outside of Japan, which will be held in collaboration with Watanabe Coffee to celebrate the launch of DISSIDIA FINAL FANTASY NT on PlayStation 4. On the opening day, avid fans will not only get to play the game ahead of everyone else, they can also get their hands on exclusive merch and take photos with life-sized Final Fantasy characters. While you’re getting your geek on, don’t forget to grab a bite or two. 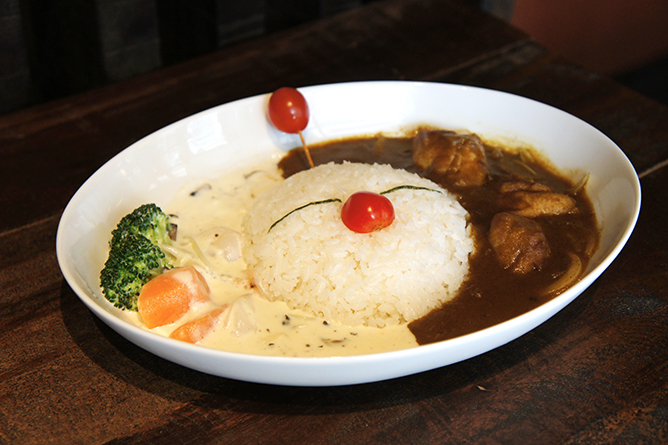 Aside from the usual offerings, they also offer a set menu of Moogle Curry & White Stew along with a beverage at $28.90. Final Fantasy Cafe opens from 24 January to 10 February 2018. 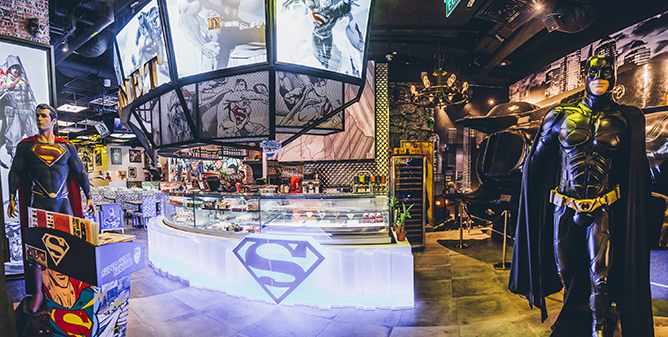 Located right smack in the heart of Orchard Road, DC Super Hero Cafe’s second outlet at Takashimaya is a haven for the comics-obsessed crowd. Upon entering through the massive 3.8m-tall Justice League doors, you’ll be greeted by larger-than-life logos and action figurines while you go ahead to get your superhero fix. 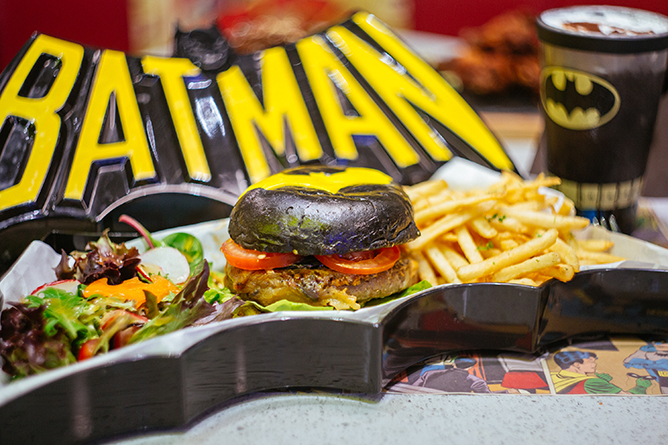 Look forward to DC-themed dishes such as the Superman: A Smallville Original Free Range Chicken Burger ($25.90), Batman’s Dark Knight Wagyu Beef Burger ($28.90) and Harley Quinn’s So Delish! Iberico Pork Ribs ($30). Having popped up magically in the heartlands, Platform 1094 is no stranger to fellow Potterheads since opening its doors last January. A scaled-down version of the Three Broomsticks Inn, this little piece of Hogwarts comes complete with exposed brick walls, raw wood furnishings and a majestic ceiling candelabra to add on to the wizardry. 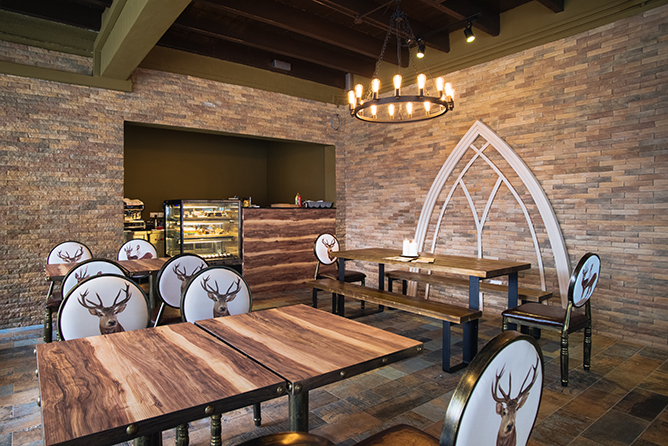 Pull up one of the Patronus chairs and dig in to their smorgasbord of muggle-friendly offerings, including the Pesto Mayo Pork Ribs ($22) and Suhnitzel Sous-vide Duck Breast ($19). Fancy hanging out with the Friends gang on the big orange couch at Central Perk? 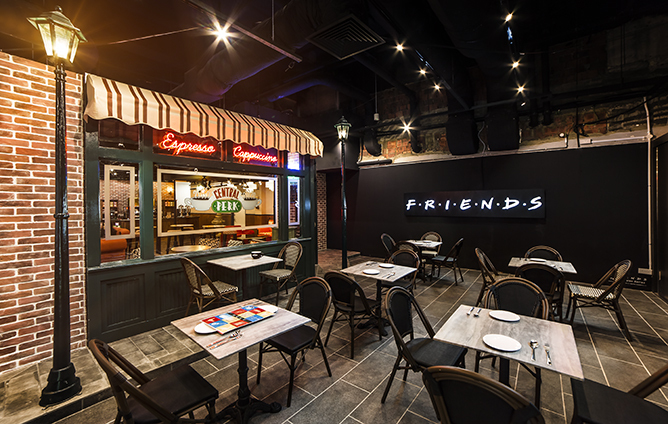 The 100-seater outpost of the fictional coffee shop is all decked out in nostalgic Friends memorabilla, such as Rachel’s runaway wedding dress, a familiar stage area where you can channel your inner Phoebe, and a full-blown replica of Monica’s kitchen. Even the menu pays homage to our beloved characters: Janice’s Oh. My. God. Baby Back Ribs ($36), Joey’s Fisherman Stew ($38), Chandler’s Righteous Mac & Cheese ($14) and more. It feels like the ‘90s all over again! 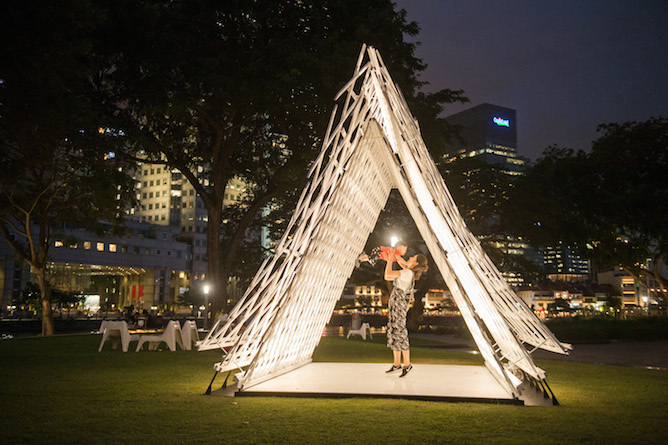 Don’t miss out on the opportunity to experience a myriad of bedazzling installations at Light To Night Festival 2018. 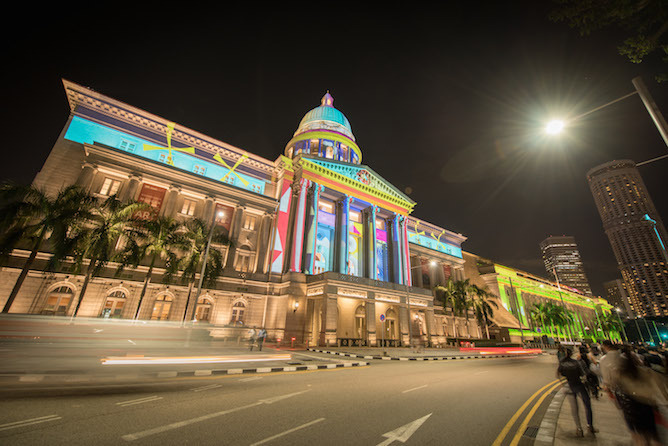 Happening from now till 28 January 2018, head down to the Civic District to immerse yourself in the spectacular light shows and interactive exhibitions on display. Check out some of our favourite stops on this fabulous art trail! Explore the sensation of colour and watch in awe as major cultural institutions such as National Gallery Singapore’s Former Supreme Court Building, Asian Civilisations Museum and The Arts House turn into spectacular works of art, showcasing a plethora of images created by 30 local and Singapore-based artists, illustrators and multimedia designers. 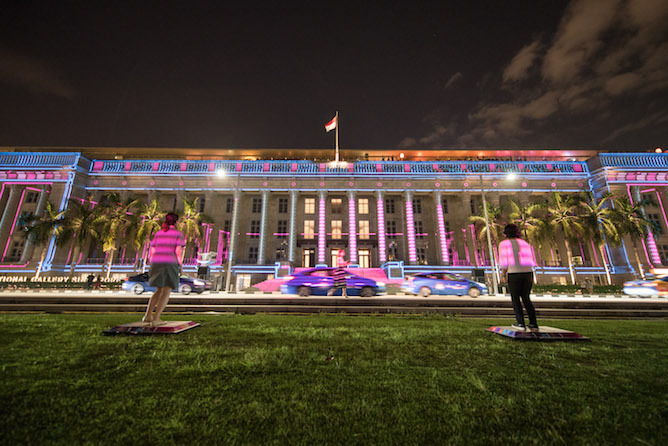 Groove to the beat and go wild on the stomping pads with this interactive installation that illuminates creative designs on National Gallery Singapore’s facade with every stomp. 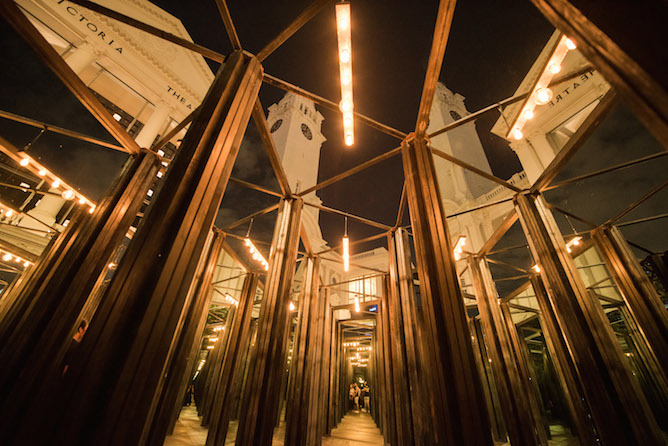 Get lost in this fascinating labyrinth of endless mirrors. With cleverly-placed mirrors surrounding you at every turn, you won’t be able to tell your left from the right thanks to the disorienting optical illusions. Challenge your friends and see who can find their way out of the maze first! A tent in the middle of an open field? Enter the illuminated Tropical Primitive Hut and explore the natural connections between people, architecture and the environment — things we commonly overlook in the rapid development of our concrete jungle. Adorned with glistening disco balls and illuminated with vibrant hues all around, setting foot into the Esplanade Park and Esplanade Park Tunnel is akin to stepping into an enchanted wonderland straight out of a fairytale. 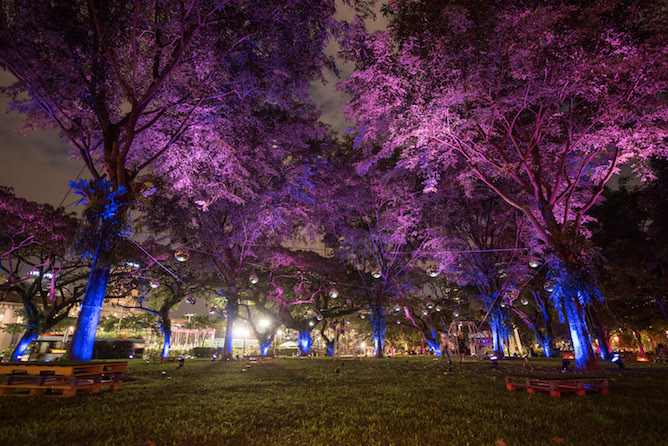 While you’re busy taking ritual photos for Instagram, don’t forget to catch musical performances by local acts such as Cosmic Child and Sang Mataharitidur Mati at the Esplanade Park. Step into this beautiful garden and watch as the flowers bud, bloom and wither, only to bloom once more. 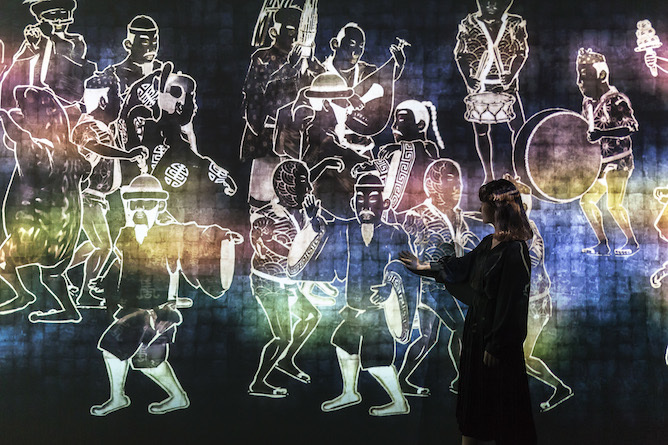 The ever-changing installation is incredibly alluring and makes for picturesque backdrops for silhouette shots — a definite must-see for the ‘gram-loving crowd. 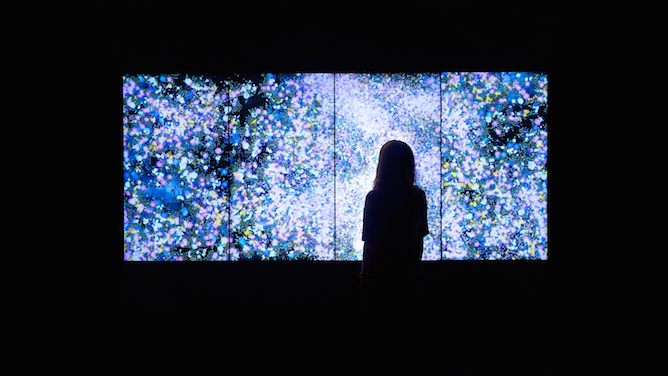 Make new virtual ‘friends’ by visiting this interactive digital wall, which features playful and unique visual characters that respond to your body heat, movements and voice. 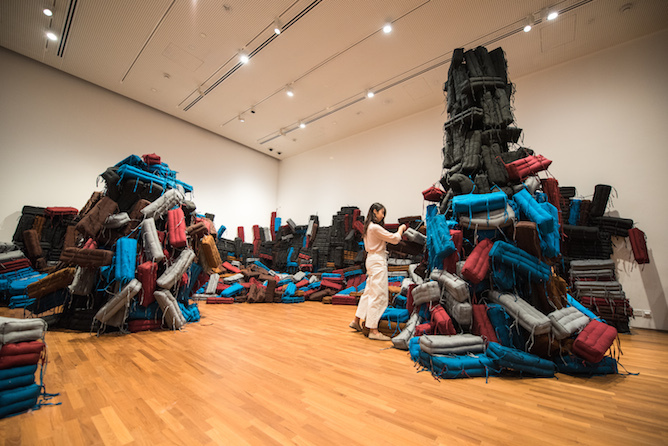 Leave a mark on the spectacular sculptural installation by rearranging the 4,000 khit pillows to create your ideal masterpiece! Light to Night Festival is happening from 19 to 28 January 2018 at the Singapore’s Civic District. You're Just A Click Away From Making A Difference! Make a positive change for the world in 2018, starting with these social platforms that grant you the power of giving back – all in the palm of your hands. Have a cause you’re passionate about and would like to advocate for? Whether it’s human equality, animal rights or environmental changes, there’s no better time to step up and take action. Enter Action Button, a website that aims to connect groundbreaking changes to the public. How it works is by discovering targeted audiences that share a similar interest for your cause, thereby converting their clicks into awareness via social media. There’s also a fund-raising option if you’d like to further contribute! While we often go hungry throughout the day and start wondering which craving to satiate, have we stopped to remember that there are many children out there who go through everyday starving, sometimes literally to death? Take some time out of your day to help feed hungry kids around the world with a simple tap. 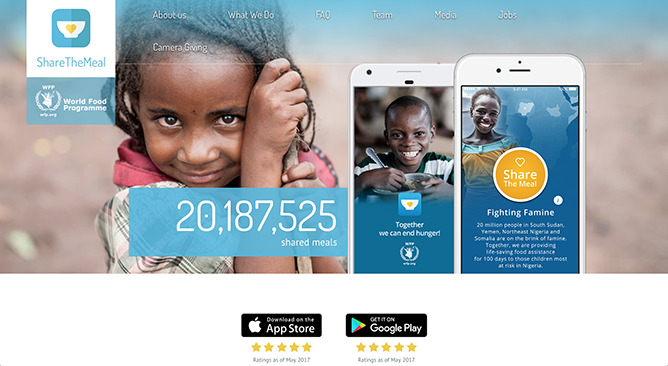 With the ShareTheMeal app (free, available on iTunes app store and Google Play store), you’ll be able to see exactly whom your donation goes to, and you can even form virtual rescue teams with your friends towards ending world hunger together. 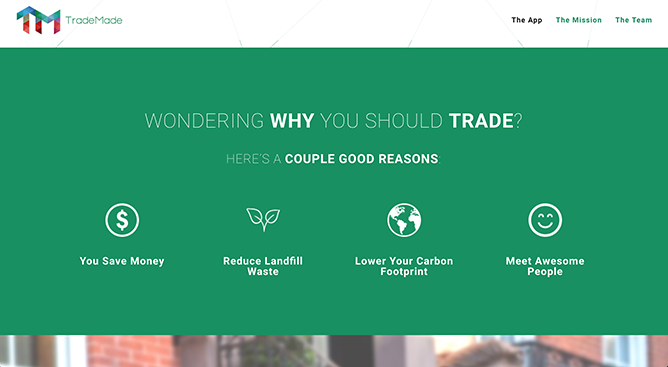 In an effort to reduce the amount of wastage we produce on the regular, the TradeMade app (free, available on iTunes app store) strives to cultivate a healthier culture of swapping items instead of purchasing them. Think an eco-friendly Carousell, whereby you strike up conversations with fellow green-thumbed individuals to trade your pre-loved items. This way, there wouldn’t be any scenario of your belongings simply being trashed and going to waste, which helps to minimise carbon emissions as well! Saving money and the environment? Count us in. If you’re beginning to find Instagram a mindless scrolling activity to pass time, why not channel your double taps to something more productive instead? 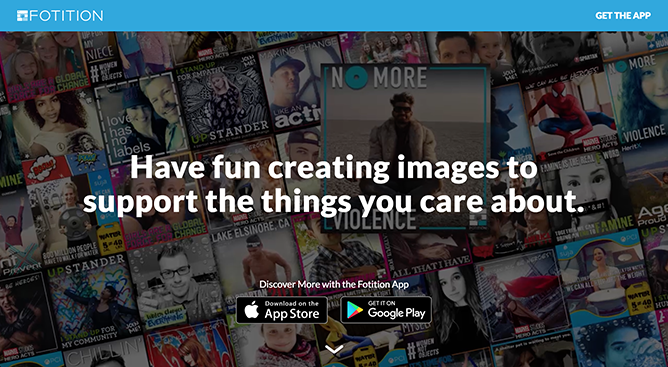 The Fotition app (free, available on iTunes app store and Google Play store) packs a similar photo-sharing function, except that the images posted go towards raising money and awareness for social initiatives that matter. Past viral campaigns include the Marvel Studios Hero Acts that aids children in Haiti, or the Fruit-Face Challenge where sponsors donate food to children. There’s always a fun activity to take on, and the fact that you’re doing it for a good cause at the same time makes it that much sweeter! 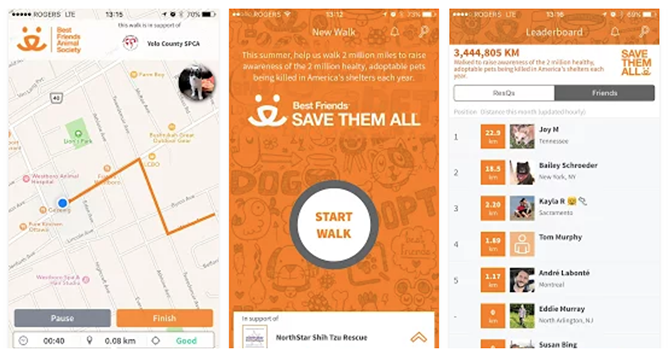 For animal- lovers hoping to spark a change, get the ResQwalk app (free, available on iTunes app store and Google Play store) for your phone. Reward your daily paces by raising awareness about pet adoption and finding suitable homes for animals from welfare organisations. All you need to do is choose an animal welfare partner from a list of choices, decide on your personal outdoor activity for the day, and you’re all set. For an added boost of motivation mid-workout, think of the better life you’ll be contributing for the furry friends! 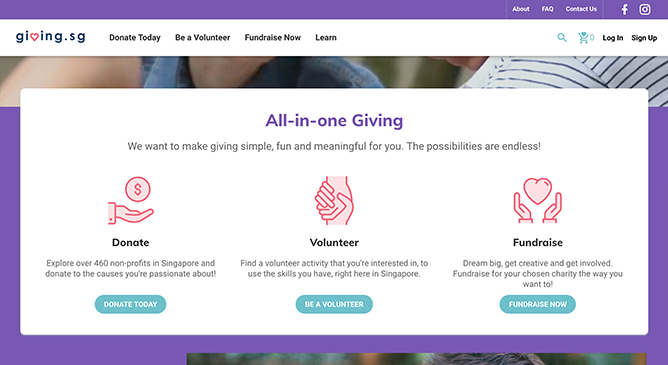 Similar to fund-raising campaigns on Kickstarter, you can do your part as a socially responsible citizen by backing up local causes and communities you’re passionate about. Giving.sg is an online social movement created to make a difference in the lives of others, starting with your actions. From causes spanning disabilities to humanitarian works, there’s bound to be one that suits your fancy towards donating to or volunteering your services for. What’s a cause you’re passionate about? We’d love to hear – let us know in the comments below!